Scared of taking risks conventional leaders always try to move with the public opinion but a real leader has the qualities that public follows him. Remember the opinion of a lay man is not always correct in the larger interest of society thus it is the leader who has to think about the larger welfare of society. Mr. Modi is a leader in the real sense. I saw similar qualities with Atal Bihari Vajpayee also but luck didn't always favour him. CONGRATULATIONS MR. MODI ON NAGA ACCORD. KOHIMA: In a landmark move, the Government of India has accepted the new political concept of Nagas in order to resolve the indo-Naga issue at the earliest thereby paving the way for building a separate entity for the Nagas. RH Raising, Kilo Kilonser (Home Minister) of NSCN-IM mentioned this while stating that the Government has accepted the new political ideology. The peace accord signed between NSCN-IM and the Government of India was a historic achievement for the Nagas and emphasis is being given on the unique political identity of the Nagas. Following this principal of understanding, the Nagas will now be allowed to have the liberty of having a separate passport and flag for peaceful co-existance between the two entities soon after the settlement of Indo-Naga issue. RH Raising, Kilo Kilonser (Home Minister) of NSCN-IM stated that the Government of India has taken cognizance of the Naga issue and is willing to solve it at the earliest. According to him, Nags have never been an integral part of India nor did they ever sign any agreement with the Government of India to merge with the Indian Union. He also urged the people to change their concept from individualism and work together to build a stronger Naga Nation. Nagaland may be given a separate official flag under the final accord expected to be signed soon by the Union government and the National Socialist Council of Nagalim (Isak-Muivah), sources said. The issue of giving the northeastern state its own flag is almost decided, the sources familiar with developments in the ongoing negotiations told HT. 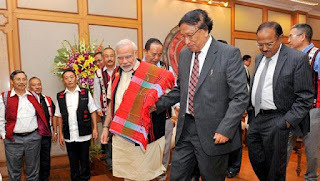 A separate flag is one of 33 demands made by the NSCN-IM, which has been engaged in talks with the central government since a truce was finalised in 1997. The NSCN-IM’s demand for a separate currency has been ruled out. Other demands include a separate constitution, dual citizenship and the creation of “Nagalim” by integrating all Naga-inhabited areas of Assam, Arunachal Pradesh, Manipur and Nagaland, but the last demand is expected to be put on the “backburner for now” because of opposition from the other states. Under the final agreement, certain items are expected to be transferred from the Central and Concurrent list of the Constitution to the State list, which would imply greater powers for Nagaland. The peace accord is expected to figure in the forthcoming budget session of Parliament as the document will have a few clauses requiring parliamentary sanction. They include the concept of “shared sovereignty”, special constitutional privileges to safeguard the traditional rights of Nagas with recognition of the “uniqueness of their history”. The central government and the NSCN-IM inked a “framework agreement” in August last year to pave the way for a final accord to end one of the longest running insurgencies in Asia. Nagaland is presently governed under Article 371 A of the Constitution, which confers the right over land and resources to the Nagas. The negotiations have been a closely guarded secret since August 3, 2015, when the Prime Minister and top government officials invited the NSCN-IM leadership for a hastily convened function to unveil a framework for the impending agreement. 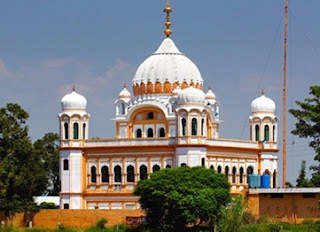 According to sources, even the home ministry and the Intelligence Bureau are not privy to the discussions, with the National Security Council assuming a vital role that is steered by National Security Adviser Ajit Doval and Joint Intelligence Committee chief RN Ravi. Ravi is the interlocutor for the talks and is learnt to have been making frequent trips to Nagaland, Manipur, Arunachal Pradesh and Assam to hasten an early resolution. The Naga insurgency – with independence as the main demand – is more than six decades old. While government figures say about 3,000 have died in the conflict, unofficial figures put the toll at about 50,000. There are three major Naga insurgent groups – NSCN-IM, NSCN (Khaplang) and NSCN (Unification) – with about 4,500, 2,500 and 1,000 armed guerrillas respectively.